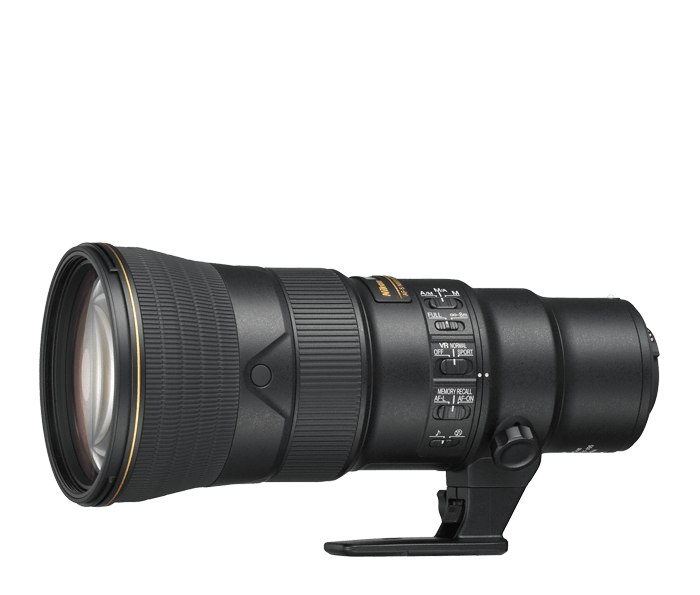 Nikon’s smallest, lightest full-frame 500mm prime lens ever*—approx. 9.3 inches long and 3.2 lbs. Powerful 500mm focal length (750mm equivalent on DX-format) brings the shots that matter in reach. Handheld vibrations are tamed by VR image stabilization equivalent to a shutter speed 4.0 stops* faster. For nearly two centuries, Fresnel lenses were used in lighthouses to project a strong beam of light. By harnessing the idea in reverse—for gathering light instead of projecting it—Nikon engineers can create lenses that are shorter and lighter, with the same image quality and zoom power of much larger lenses. When combined with Nikon’s Extra-low Dispersion (ED) glass and other NIKKOR glass elements, the Phase Fresnel element produces high resolution, high contrast images with beautiful background blur. Lighter, more compact optics don’t just benefit your mobility—a lighter focus lens group allows the autofocus system to focus faster, too. With the AF-S NIKKOR 500mm f/5.6E PF ED VR, Nikon’s Silent Wave Motor (SWM) is able to operate at peak performance for fast, quiet autofocus. The AF-S NIKKOR 500mm f/5.6E PF ED VR is also compatible with the new Nikon Z mirrorless camera bodies. To attach it, all you need is the Mount Adapter FTZ and you’re good to go with no loss of image quality. Auto Exposure (AE), autofocus (AF), and in-body VR (Vibration Reduction image stabilization) seamlessly work. The AF-S NIKKOR 500mm f/5.6E PF ED VR is extensively weather-sealed and includes a protective front meniscus with Nikon’s Fluorine Coating (FLC), which repels water droplets, dust and grime and easily wipes clean. When shooting with a DX format DSLR or a full-frame DSLR in DX-Crop Mode, the AF-S NIKKOR 500mm f/5.6E PF ED VR produces a whopping 750mm equivalent angle of view. Add the optional AF-S Teleconverter TC-14E III for 1.4x more reach with only 1-stop loss of light and maintain autofocus. Nikon’s Electromagnetic diaphragm (E) mechanism produces extremely consistent exposures, especially during high-speed shooting...shot after shot after shot. The Nikon Silent Wave Motor (SWM) powers extremely fast, accurate and quiet autofocus. When manual adjustments are needed, just spin the smooth focus ring. When shooting sports or action, select SPORTS MODE VR for a specialized type of image stabilization that produces a more stable viewfinder image during high-speed continuous shooting and panning. All focusing movements occur within the lens barrel, so the physical length of the lens never changes. You can also focus as close as 9.8 feet with a 0.18x reproduction ratio from your subject to reveal the finest details. When you can predict where action might occur—say, a basketball hoop, or the corner of the racetrack—save the focus position and then quickly recall it with the press of a button on the lens.